The holiday shopping season is just a few weeks away, meaning big sales and deals on all things tech continue to surface online. In the latest, HP’s day after Thanksgiving sales appeared on a holiday ad, revealing up to $300 savings on Spectre laptops, gaming desktops, accessories, and more. The leading deal in the 16-page long HP holiday advertisement is a $300 discount on the Spectre x360 13-inch laptop. Bringing the price of the device down from $1,150 to just $850, this touchscreen 2-in-1 convertible will be selling for its lowest price ever come Black Friday. The discounted device comes configured with an eighth-generation Intel Core i5 Processor and features a micro-edge Corning Gorilla glass display for crisp visuals. We reviewed it earlier in the year and found that it is flexible, fast, and is the 2-in-1 for every occasion. For those looking for a 2-in-1 with a bigger display, the HP sale also includes $320 savings on 15-inch HP Envy Laptop X360. Cutting the price down from $1,000 to just $680, the deal presents big value for one of HP’s top-selling touchscreen convertibles. Not only is the large screen spacious enough for multitasking, but it comes configured with an eighth-generation Intel Core i7 chipset for more processing power. The screen and overall design were big highlights for us in our review of the device. Elsewhere on the ad are some savings on gaming laptops. These are some very powerful machines that come configured with dedicated Nvidia graphics cards. Usually well over $1,000, the leading sales include $300 off the 15-inch Omen by HP Laptop with a 4 GB Nvidia GeForce GTX 1050 TI graphics card, and $420 off the HP Pavilion Gaming laptop with Nvidia GeForce GTX 1050 2 GB graphics. The sales bring the price on these models down from $1,200, to $900 and $790, respectively. HP’s ad shows it also would be discounting certain accessories, including a 1TB External Portable USB 3.0 HDD for $70, and a slight $296 sale price on the HP Pro Windows Mixed Reality Headset. This is just one of many deals for the holiday season, as Costco is also running similar Black Friday discounts on Dell laptops. Looking for more information about the best deals? Find more from our Black Friday and Cyber Monday deals pages. Microsoft has had quite a bit of trouble in addressing Windows bugs recently, and it now looks like things aren’t getting easier for some consumers. In the latest set of headaches, a recent cumulative update for the Windows 10 April 2018 release has broken the file association settings with certain applications, reports How-To Geek. In testing, some third-party Windows 10 apps like Adobe Photoshop and Notepad++ no longer work as intended when users go to setting to choose either program as the default for .txt files. Windows 10 will instead absurdly ignore a consumer’s app default settings for both programs and open the file in NotePad on its own. The same problem also applies when right-clicking on a .txt file and choosing “Open With” and “Always Use This App.” from the drop-down menu. Windows 10 will initially open it up in the correctly chosen app but will later forget the file association setting and default back to Notepad. Microsoft does not document this bug on any list of known issues and also hasn’t yet issued a public response to related reports. The issue is instead believed to be linked to Cumulative Update KB4462919, initially released on October 9. Oddly enough, the Windows 10 October 2018 Update doesn’t appear to be impacted at the moment. It might be wise to temporarily pause updates or roll back and uninstall the problematic cumulative update if you’re in fear of this issue, or if you are already seeing that your file association settings aren’t holding. The bug appears to be a common problem with a lot of Windows users and a Reddit support thread dedicated to the topic has gathered over 88 upvotes and 47 comments at the time of writing. “I’ve been having this issue for quite some time now. I’m not able to assign certain file types to certain programs. This is happening in 1809, decided to rollback (through clean format) to 1803 and I still have the issue. Thinking of going back to 1709 to get rid of it,” complained a frustrated Windows 10 user on social media. This is now the third major problem facing Windows 10 recently. Previously, Microsoft had to pull back the release of the Windows 10 October 2018 Update after consumers reported it was deleting files upon an upgrade. There also was another issue which caused the Blue Screen of Death on certain HP computers, though that was linked to driver issues and quickly fixed. And in more recent times, a bug also impacted zip file operations, overwriting and deleting users documents without the proper prompts on the screen. If you’re in the market for a new tablet that can replace your PC, and Apple’s newly announced iPad Pro isn’t cutting it for your needs, then Costco may have a deal for you. The wholesaler is offering a $200 discount on several configurations of Microsoft’s Surface Pro 6. What’s notable about Costco’s deal is that both the Surface Pen and the keyboard cover, an accessory that’s essential in helping to transform the slate into a full laptop replacement, are both included in the price. Another bonus is that the deal is valid between November 16 and 26, so you don’t even have to wait until Black Friday to score the savings. Currently, Costco’s two configurations are priced at $999 and $1,599, and to buy either option, you’ll need to have a valid Costco membership. Annual memberships start at $60, if you’re not already a member of the warehouse club. The cheaper $999 configuration ships with an 8th-Generation Intel Core i5 processor, 8GB of memory, and integrated Intel HD Graphics 620. The more expensive configuration includes a more powerful 8th-Generation Intel Core i7 processor and doubles the storage. While the cheaper model can be purchased online or at Costco’s warehouse, the more premium configuration is online-only, Costco noted in its holiday ad. Costco also includes its Concierge Service for technical support and extends the warranty to two years as part of the bundle. Though both Costco bundles come with the pen and keyboard cover, you won’t have a choice on color — the Surface Pro 6 model that Costco is selling is only available in the platinum tone, and the keyboard accessory is the standard black Surface Type Cover, not the more premium Alcantara-lined Surface Pro Signature Type Cover. After the discount, the Core i5 bundle will cost $799, while the Core i7 package will retail for $1,399. For comparison, Microsoft’s online store lists the lower-priced model at $899, but you’re getting a stand-alone tablet with no accessories included. Similarly, a comparable Core i7 listing currently asks $1,499 for the tablet only. The Surface Pro Type Cover in black adds another $129 to the price, while the Surface Pen cost $99. This means that even before Costco’s $200 off Black Friday deal, you’d still be saving $128. After the Black Friday promotion, you’ll be saving $328 on the bundle and get an extended warranty on top of everything. If you’re set on the color of your Surface Pro 6, unfortunately, you won’t be able to pick up the black variant through Costco’s bundle. Popular web analytics platform Statcounter experienced a breach on November 3, according to research from malware researcher Matthieu Faou. Up to 700,000 web pages were targeted in the hack which primarily aimed to steal cryptocurrency through a malicious script. Per the report, through the script was loaded on many websites, there is nothing much to fear. The malicious Statcounter script behind the attack primarily targeted the cryptocurrency exchange Gate.io to generate Bitcoin addresses. Only if the URL or content in a given webpage contained references to “myaccount/withdraw/BTC” would the malicious script activate and then silently connect to the exchange to fill the hackers’ pockets with money. “Attackers modified the script at http://www.statcounter[. ]com/counter/counter.js by adding a piece of malicious code. … In the middle of the script. This is unusual, as attackers generally add malicious code at the beginning, or at the end, of a legitimate file. Code injected into the middle of an existing script is typically harder to detect via casual observation,” explains Faou. The breach was pretty clever and is still live, as all websites running Statcounter need to add a specific code to a website in order to grab more information about users. Hackers clearly leveraged that to their advantage even though the Gate.io service used in the script now claims it doesn’t use Statcounter anymore. It is still unknown how many end users were truly impacted by this attack, or how much money hackers made. Statcounter has yet to issue a public response, but Gate.io issued a lengthy statement on its website. “On Nov. 6, 2018, we got the notice from ESET researcher’s report and the “ESET Internet Security” product that there’s a suspicious behavior in Statcounter’s traffic stats service. We immediately scanned it on Virustotal in 56 antivirus products. No one reported any suspicious behavior at that time. … However, we still immediately removed the Statcounter’s service. After that, we didn’t find any other suspicious behaviors. We want to express our great appreciation and respect to the researcher from ESET Malware Researcher,” said Gate.io. Apple’s iOS 12 comes with a ton of new features from Siri Suggestions to grouped notifications, Screen Time, and more. But one of the most highly anticipated features is Group FaceTime, and it’s finally available with iOS 12.1. Using Group FaceTime, you can video chat with up to 32 people at once using either your iPhone, iPad, or Mac. Those participating will have to make sure they’ve updated their devices to the latest version of iOS 12, otherwise, they’ll only be able to participate via FaceTime Audio. To download iOS 12.1, go to Settings > General > Software Update, and tap on the available update to download it. You may want to check if your device is compatible with the latest OS first. When you open the FaceTime app, tap on the plus sign in the right-hand corner. You can then type in a specific contact you want to FaceTime or tap on the plus sign to access your contacts. After choosing the group of people you’d like to FaceTime, tap on the green audio or video icons at the bottom to start the call. While waiting, you’ll see both contact names appear before they accept the FaceTime call. Those receiving the call will see a notification appear on their lock screen, which they can tap on to accept and start the call. Throughout the call, you can also choose from different actions by swiping up on the display from the bottom: Add effects (which we’ll get to later), mute yourself, flip the camera, and end the call. You can also choose to expand a participant’s window (including your own) so that it’s larger on the screen, but this won’t appear on their end. If you swipe up on the menu completely, you will see even more options, including the ability to add more people to the group or to turn the camera off. If the group FaceTime is still going on and you accidentally leave, you won’t have to be re-added manually by those in the video chat. Instead, tap on the session within the FaceTime app to re-add yourself to the call. The call will also appear in your FaceTime history on the app. That way, if you know you’re going to FaceTime often as a group, you can simply tap on the last call you had to restart it again. With WatchOS 5.1.1, those using an Apple Watch can join Group FaceTime calls as well. However, they’ll only be able to join in via audio. To start a Group FaceTime session within iMessage, tap on the contacts at the top of the iMessage window. From there, tap on FaceTime and the call will automatically begin. If you exit out of the video chat and want to rejoin, you can do so by tapping “Join” within the iMessage conversation. You’ll then automatically be added back into the group with everyone else. Whenever someone ends the call, a notification will also appear within your conversation — this allows you to keep a running history of your Group FaceTime calls within your group text messages. As with iMessage in iOS 12, you have access to some fun effects in Group FaceTime. A swipe up on the bottom of the screen will bring you to a menu of options. Tap on “effects,” and you’ll pull up a variety of different things you can add to your FaceTime window — Animojis (if you have the iPhone X or newer), filters, and any sticker packs you download. You can choose to use them throughout the entire Group FaceTime session, or remove them whenever you’d like. After you have done this, the camera on your new Amazon Echo Show (2nd gen) will now be disabled. This is great for those who don’t want to take advantage of video calling or might have privacy concerns. While Echo products are primarily powered by Alexa’s voice services, it seems that Amazon is still holding things back a bit. Unfortunately, you can’t ask Alexa to simply disable the camera on your Echo Show (2nd gen). Instead, you’ll have to follow the steps above to get things done. If you are ready to make the dive into a smart home, chances are you will want a hub. 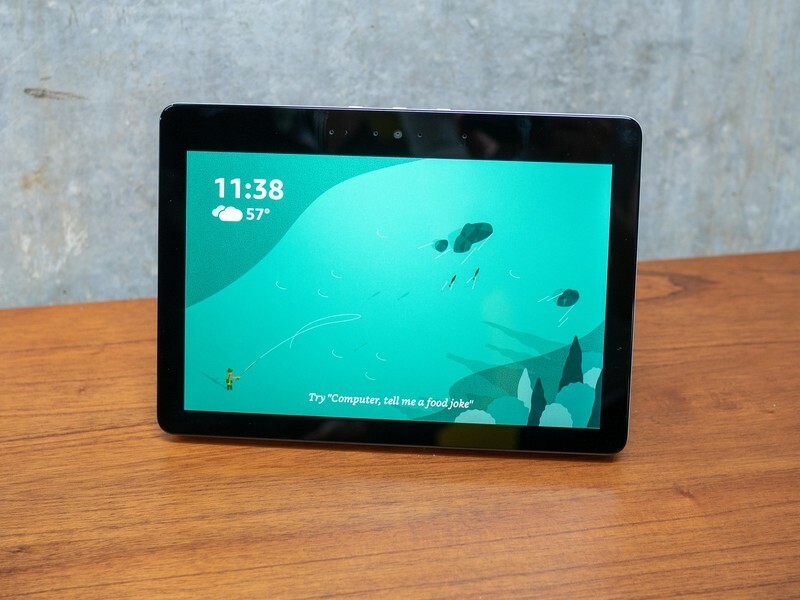 These hubs are starting to come with screens for video calling and other purposes, and there’s none better than the new Echo Show (2nd gen). With a 10.1-inch HD display, you can watch TV, view recipe videos, and so much more. Timeline support has been a long time coming, with Microsoft promising its eventual release earlier this year. Now, when you’re signed into the same Microsoft account on your PC and Android phone, your Windows Timeline activity will sync between devices. This allows all of your browsing activity from Microsoft Edge to show up in your Timeline on your phone, and vice-versa. 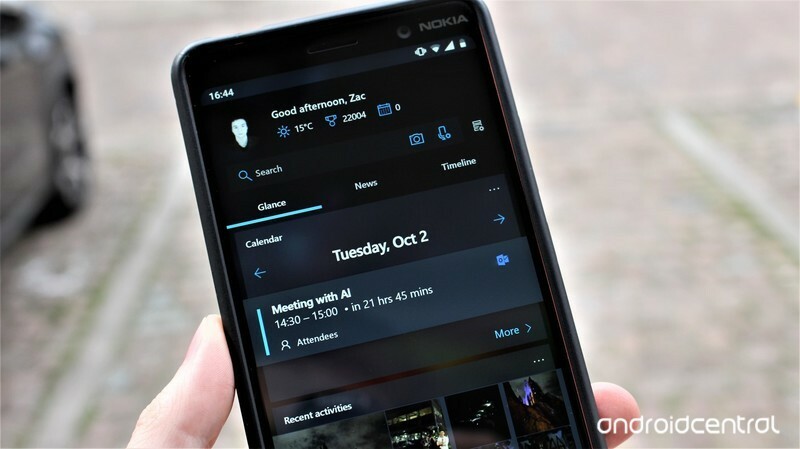 Additionally, documents will appear in Timeline as well, so you can pick up where you left off in any Office documents, should you have the Office apps installed on your phone. 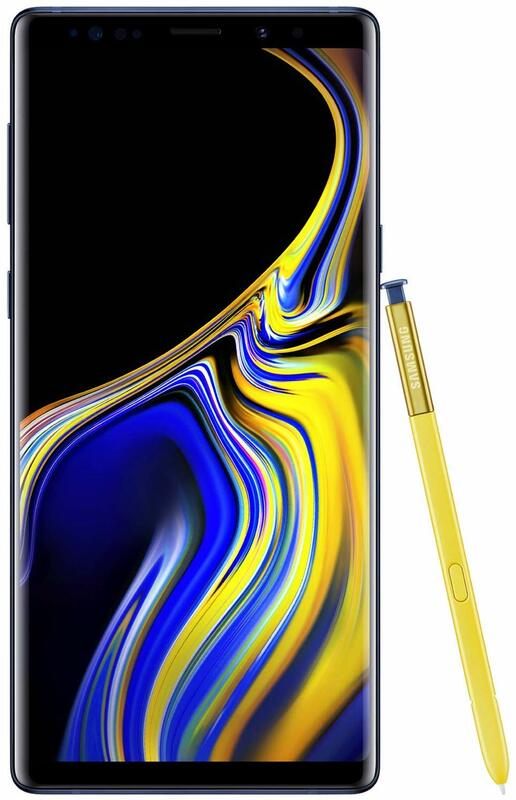 The Samsung Galaxy Note 9 is the biggest and best phone Samsung makes, and that also makes it the best overall big-screened phone. Its 6.4-inch display is the best in the business, and it wraps around a beautiful metal and glass exterior. You can take advantage of the huge screen with top-end specs and the S Pen stylus that’s truly unique in the smartphone world. It’s expensive, but it’s available both unlocked and from just about any carrier or retailer in the world. A massive screen with every spec and feature needed to back it up. The Note 9 is the do-it-all smartphone, with every feature and spec you could want. And you get to use those features with an amazing best-in-class 6.4-inch display and top-end internals to back it up. It’s hard not to like the design as well.. When you’re looking for the biggest and best phone, look no further than the Galaxy Note 9. It has a big screen, and better yet it’s also a great screen with excellent colors and brightness even in direct sunlight. It also has the highest-end specs possible, with an optional 512GB of internal storage if you need it. Then you get all of the nice-to-have features like wireless charging, a headphone jack, waterproofing, an SD card slot and more. It’s a “more of everything” approach that works well in the big-screened phone market, and makes the Note 9 a fantastic buy. 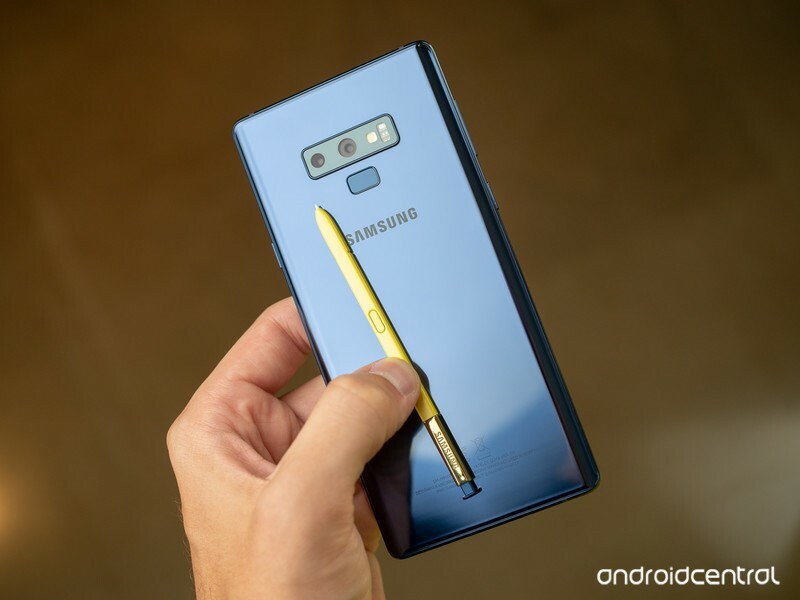 The Galaxy Note 9 is new, and will be the best phone available from Samsung until the Galaxy S10 is announced in February or March 2019. You can buy the Galaxy Note 9 and be confident that you’re getting the best big-screened phone available for the next several months. When Samsung made the Galaxy S9+, we were impressed. Six months later, we got the Galaxy Note 9 that turned all of the knobs to 11. It’s been a few years since the Note was considerably better, and in no ways worse, than the latest Galaxy S, but we’re glad that’s the case again. You start with the core fundamentals of the Galaxy S9+ in the processor, RAM and hardware features, and that’s a great place to build from — you get all of the latest and greatest specs and hardware features like waterproofing, wireless charging, a headphone jack, stereo speakers and an SD card slot. But then the Note 9 goes further. You get a base of 128GB of storage, optionally spec’d up to 512GB. You get an even larger display, now 6.4 inches, that’s the brightest and most colorful you’ll find in a phone today. Then Samsung bumped the battery up to 4000mAh, giving you effortless full-day battery life and lasting longer than most phones out there. The Note 9 does it all, and gives you a huge screen to experience it. And of course, you get the S Pen stylus. With extreme accuracy and precision you can write or draw all day — and now it works wirelessly to control the phone within Bluetooth range, to trigger the camera or move through a slideshow presentation. It just shows that the Note 9 is designed to do everything you need, which you’re looking for if you want such a large screen. Samsung’s software isn’t the best in the business, but it’s amazingly customizable and if you’re willing to work with it it can be an amazing tool to complement such wonderful hardware. The original Galaxy Note really defined the “phablet” segment all those years ago, and now the Note 9 is a modern take that’s still the best available. The Galaxy Note 9 is the absolute pinnacle of modern-day phablets, but it isn’t the only big-screened phone out there. There are solid alternatives that also have large screens but won’t break the bank at nearly $1000. The Galaxy S9+ is a really good alternative for a couple hundred dollars less that simply doesn’t have an S Pen, and the OnePlus 6T is a great choice for a couple hundred dollars less still. Huawei also deserves a shout with the new Mate 20 Pro Pro. 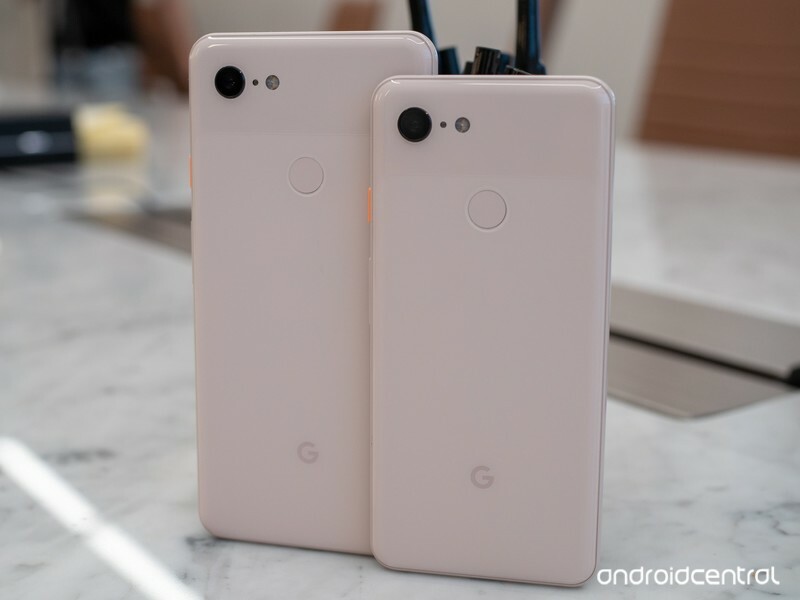 The only knock on the Pixel 3 XL from the perspective of someone who wants a huge screen is that it doesn’t have any extra software to take advantage of it like the Note 9 does. 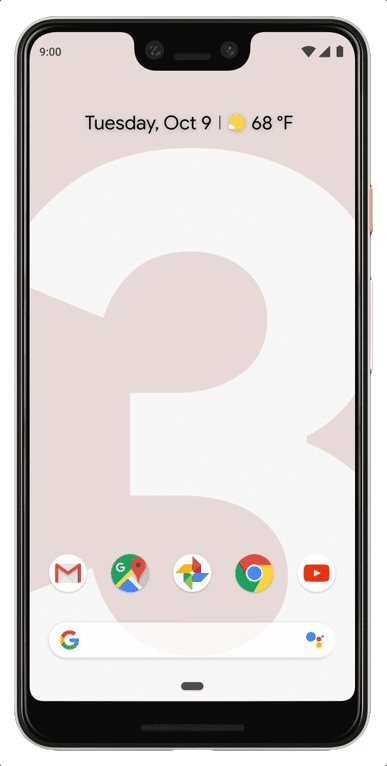 Android 9 Pie has multi-window support, but it’s clunky and doesn’t feel as versatile or powerful as Samsung’s. You just get a little bit more of everything. The OnePlus 6T isn’t perfect, and has many shortcomings when compared head-to-head with the other phones here. But with a price tag that’s about $350 less than the Note 9, it’s hard to complain too much. Given its price, it’s shocking how close the OnePlus 6T gets to the competition, and there’s a good chance you’ll be willing to forego a few nice-to-have extras to save so much money. LG’s fighting an uphill battle against Samsung’s dominance, but in the V40 has a legitimate challenger to the Note 9 — and it does so by using some restraint. The V40 is huge, and its screen and spec sheet match the Note 9 straight up. But the V40 is far lighter and easier to handle than its competitors, which is something you can appreciate when you pick it up. The V40 hits all of the high points of a modern flagship, from the spec sheet to the extra features and all the way down the list. LG’s software has really improved in the last couple generations, and in many ways it’s simpler and easier to use than Samsung’s. LG’s triple camera, with a wide-angle shooter, is a blast to play with as well. This is a great option if you can find it on sale — which is inevitable with LG’s phones. Huge and feature-filled … unless you’re in the U.S.
Huawei is doing its best Samsung impression, going after the Note 9 in every way (except the stylus). The Mate 20 Pro is filled with plenty of features, every spec, a battery even larger than the Note 9’s, and one of the best camera setups available. But like Samsung’s latest phones, it comes with a software experience that’s a bit grating, if not entirely frustrating, to people who haven’t used a Huawei phone before. 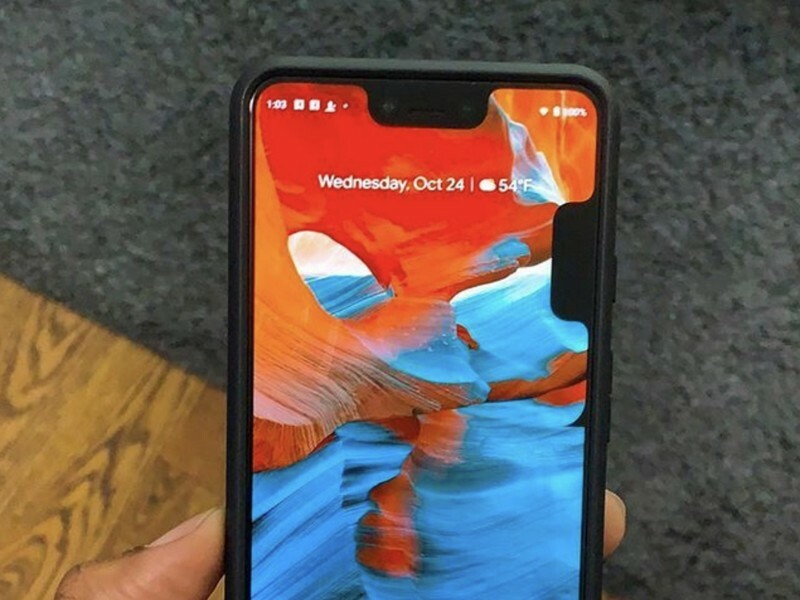 But the real issue is that you can’t get the Mate 20 Pro in the U.S. unless you buy one from an importer or reseller. It’s a real shame, because the Mate 20 Pro is a compelling do-it-all option for people who want to break the mold of just defaulting to the Galaxy Note 9 when they look for a big phone. For big-screen lovers, the Samsung Galaxy Note 9 offers everything you want (and more). It’s undeniably powerful no matter what you need to accomplish, and its industry-leading display combines with the S Pen to give you a power-user experience unlike any other. From top to bottom the spec sheet has everything you need, and more. It actually offers a headphone jack, which isn’t necessarily a given even on these big phones. The cameras are really good as well. You’ll have to pay dearly to get this whole package, nearly $1000, but when money isn’t the ultimate deciding factor the Note 9 is absolutely worth it.